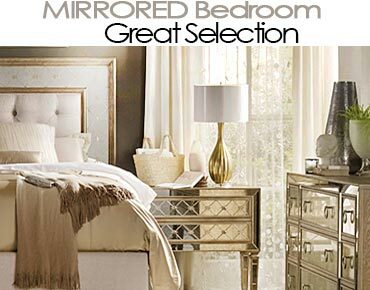 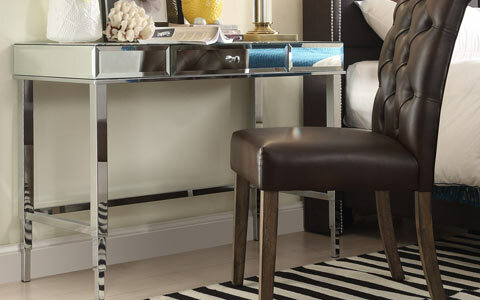 Mirrored furniture is the perfect way to add space and light into your home interior. 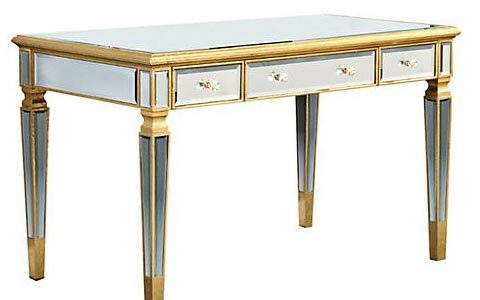 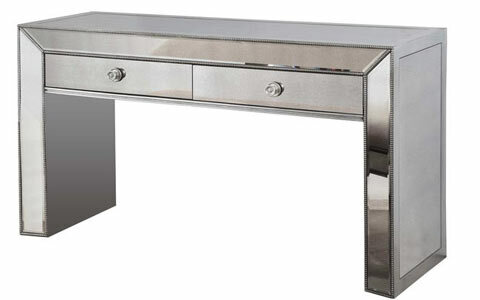 If you want to buy high quality mirrored desks, here you can choose from the best designers. 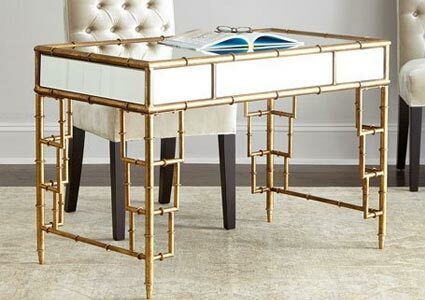 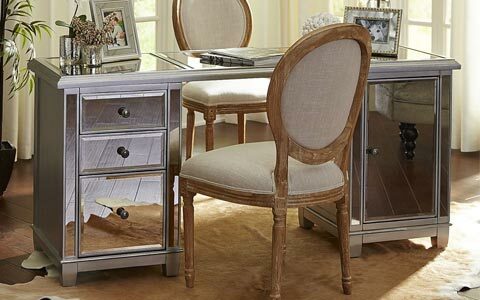 These functional, durable and aesthetically appealing mirrored furniture desks are perfect for a variety of decor settings. 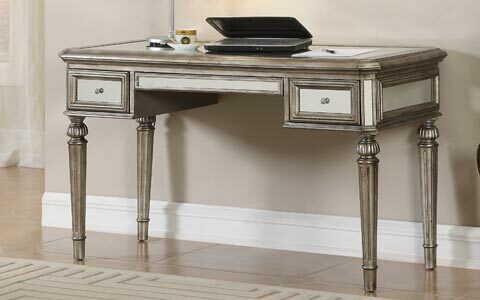 Whatever style, shape, color or size you are looking for, browse this category and buy your desired writing desks easily. 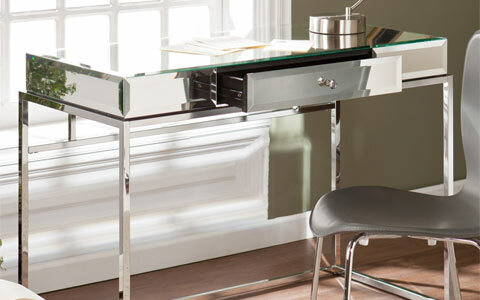 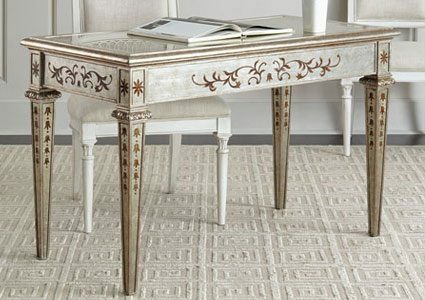 Silver mirrored desk by the Best Master Furniture is unique, functional and stylish, perfect for a variety of tastes and spaces. 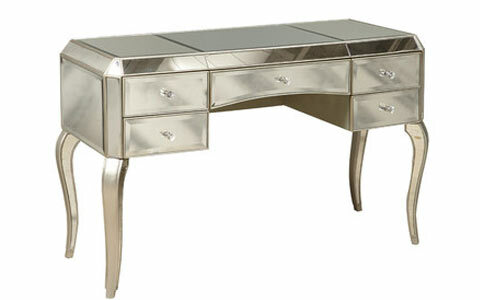 It is contemporary and transitional in style and rectangular in shape. 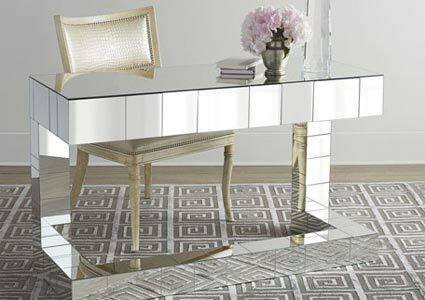 If your home or office is looking a little basic and boring, you can spice things up with a mirrored desk. 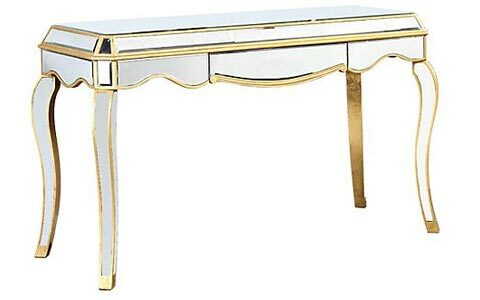 This vibrant piece of furniture comes with all the attractive brilliance of mirrored furniture and is available in a range of designs and sizes. 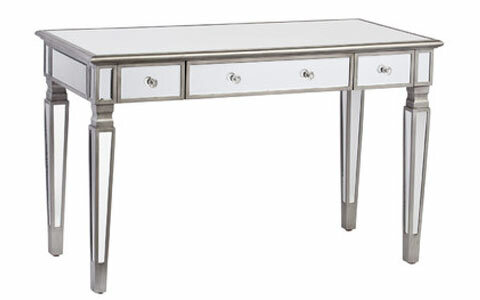 The mirrored desk is as cozy in the hallway as it is in the kitchen, dining or dining room. 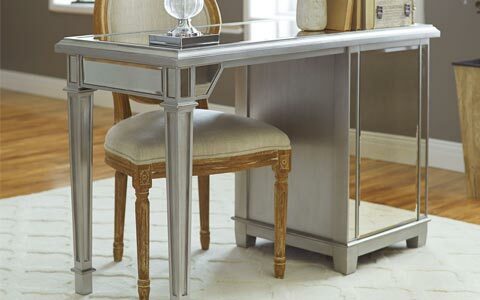 This versatility is one of the most appealing things about buying a mirrored desk as opposed to any other kind of desk, and you can place it in any room in the house without fearing that it will look awkward. 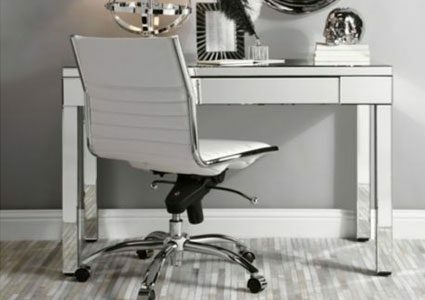 Pick a size that is right for the space where you’ll be using the desk. 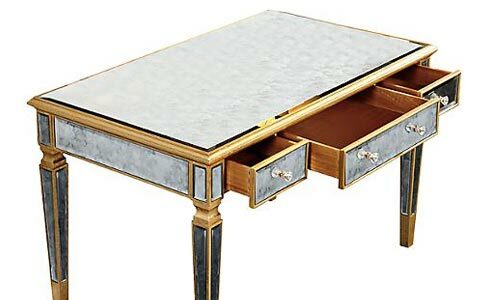 Only be careful not to choose a size that is too big as the desk may end up being an inconvenience rather than the practical bit you intended it to be. 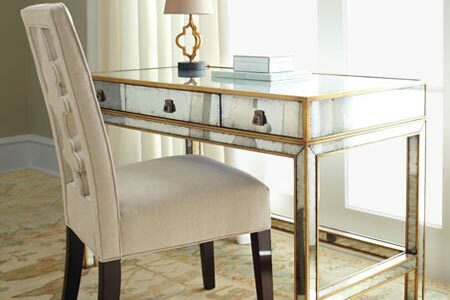 Make your mirrored desk an even more central part of your home by matching it to the decor you’ve used. 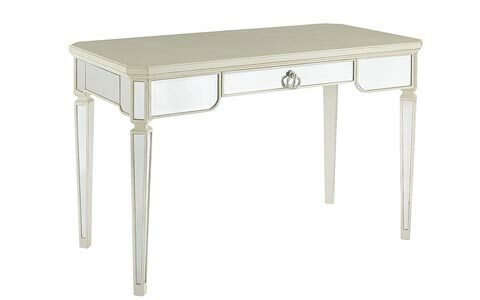 This you can do by adjusting your wall colors to complement those of the table or placing matching accents to go with the mirrored desk. 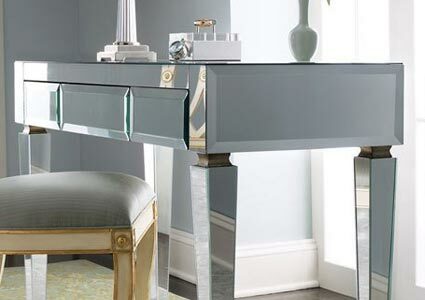 While mirrored desks are very aesthetic, they are also built to be highly practical pieces. 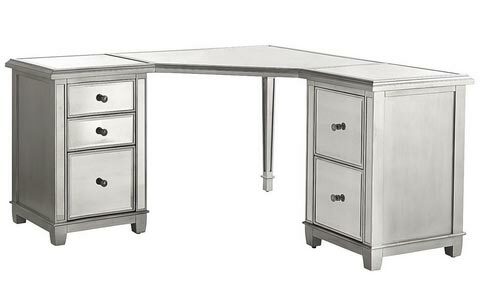 The different types available include mirrored writing desks, mirrored computer desks, mirrored utility desks and mirrored display desks among others. 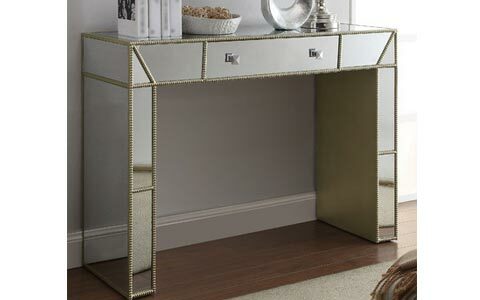 They can have a single storage drawer or have multiple of them, so choose a design that carries an adequate number of drawers for your needs.